beeds think big. This was evident to me from my first interview with Suman, cofounder of beed, who talked about the company’ mission to go global after just two years in business of business. It was when we won the global bid to work on a consulting contract with the Government of Rwanda that the goal became a reality. beed was to help in the formulation of a business plan for a cable car project on Mount Karisimbi, along with undertaking a visioning and planning exercise for an Ecotourism Project. An international assignment in Rwanda meant travelling there to conduct ground research and interviews. I was part of the consulting team that was going to be involved beeds’ exciting first international mission. On the first leg of the journey to Doha, my travel companions were mostly migrant workers. Their sweat stained shirts were emblems of their capacity for hard work, but as many of us know, their real ordeal was just beginning. It is their toil and earnings that is keeping the Nepali economy afloat. Another 7-hour flight, we land at Kigali which has an airport the size of Pokhara, but is much more systemaised. Rwanda used to be synonymous with conflict and genocide, but today it is a small and peaceful country in the throes of growth and reconstruction. With a population of 11 million crammed in a country the size of Bhutan, the country has bounced back from the war 20 years ago in which 20% of the population was wiped out. The road from the airport was clean and well-maintained, giving a good first impression. 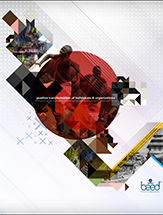 Rwanda is a model for successful post-war rehabilitation and reconciliation, it is now ranked 52 out of 185 countries of the World Banks Doing Business Report, 2013. Nepal is a 108. Surprisingly communication was a problem with staff, as they were fluent in only Kinyarwanda, and we in English. French is to them what Hindi is to Nepalis, but we didn’t speak that either. That is when I realized the power of communication, without which even if you have all the resources and ideas, you cannot get what you want. From making sounds of chicken or goat to buy meat in the supermarket to sign language, we did whatever it took to get the message across. At the gym where we enrolled, we noticed staff clad in orange jumpsuit. Upon enquiry we found out that inmates convicted of involvement in the genocide war were allowed to work at community centers. Such initiatives are proof that Rwanda is well on its path to reconciliation, and is leaving its brutal past behind. Since our project was related to tourism, we were required to visit the tourist destinations in Rwanda. Our first destination was the Akagera National Park where we sighted zebras and giraffes in their natural habitat. The park has two lodges, the Akagera Game Lodge and the newly constructed Ruzizi Tented Lodge which have been designed to be ecofriendly. The entire facility operates completely on solar power with an installation cost of $120,000, and is completely off the national power grid. Unlike the noise and pollution from big generators within the Chitwan National Park, at the Ruzizi Tented Lodge you are greeted by the sounds of the jungle. Our visit to the park coincided with an excursion of a group of local students, where I noticed that they all had clean shaven heads leading me to assume that all of them were boys. But once they started coming out of their minivan I noticed that half of them were wearing skirts. This is apparently because managing curly hair is a costly affair, with braiding starting at 10 dollars. The only other option for parents, therefore, is to shave off their hair. Rwanda has a young population with 70% of the people below 30 years. Government officials are also young, including the Rwanda Air Force Chief, General Demali of who is only 37. Just like the tiger is the iconic wildlife selling point for Nepal, for Rwanda it is the mountain gorilla. Rwanda is home to two-third of the total 800 mountain gorillas in the world and it is a valuable tourism asset for the country. The Rwandans have therefore learnt how to market it to gain maximum tourism revenues. Every year, the Rwanda Development Board organizes a gorilla naming ceremony called ‘Qwita Izina’, where gorillas born throughout the year get named. We were lucky enough to get invited and to be a part the event, which is a grand affair with performances by local and regional artists, and includes traditional dance performances. A mix of local and international celebrities, ambassadors and conservationists were chosen to name the gorillas. While we are at the ceremony, we were just wondering how such an event would work in Nepal where we would name tiger and rhinos cubs. Despite a dark past, Rwanda has been able to come out of the trauma, transform the country, and the transformation is visible everywhere. Due to the perception of Nepalis as facilitators of peace keeping, the general attitude towards us among the Rwandese is friendly. This country in the heart of Africa was a pleasant surprise, and gave us hope that with hard work and perseverance a country can lift itself out of its tormented past.